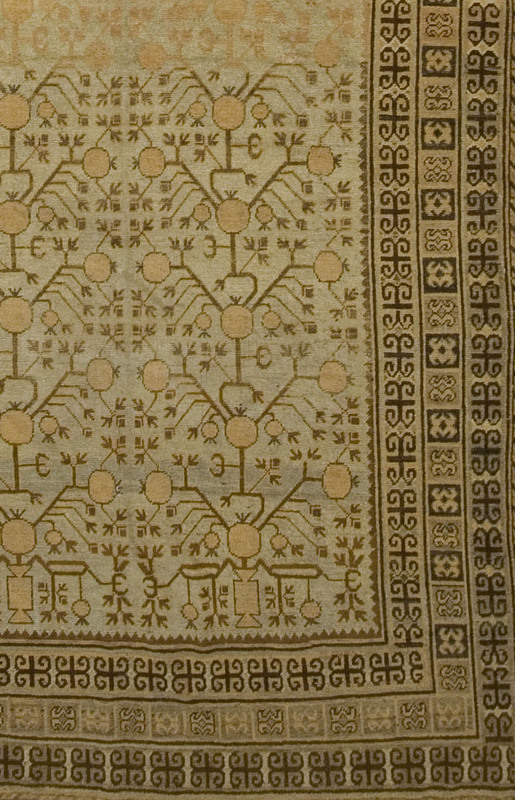 This antique Khotan rug from China flaunts symmetrical branching patterns woven in chocolate and creams that cover a soft blue and creme central field. 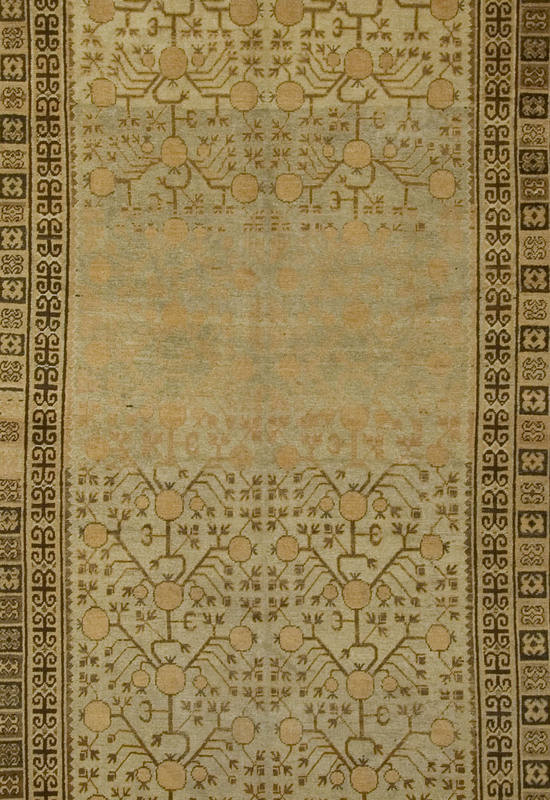 An amount of abrash (a natural change in color, that occurs when different dyes are used and is very common in antique pieces which gives individuality to the rug.) is seen in the center of the design which creates unique coloration's. The border contains three rows of symbols woven in chocolate and creme that complete the overall design.